Caryl Churchill is not known for being an easy playwright. Like her contemporary Tom Stoppard, her plays are often difficult, didactic, and heavily based in historical texts. But Churchill takes this a step further, often eschewing realism and embracing the theories of Bertolt Brecht, the German theatermaker famous for his ideas about education theater and the alienation effect in acting. Despite her difficulty, Churchill has many beloved plays, such as “Top Girls,” “A Mouthful of Birds,” “Cloud Nine,” or the recent “Love and Information.” However, “Light Shining in Buckinghamshire” is not a part of this list of iconic, beloved Churchill plays. It is not frequently performed or studied in the classroom, unlike her other works which have become canonical in the professional and collegiate worlds. “Light Shining” deals with the English Civil War, the Interregnum, and the Restoration, a tumultuous period of history that is seldom talked about or depicted. 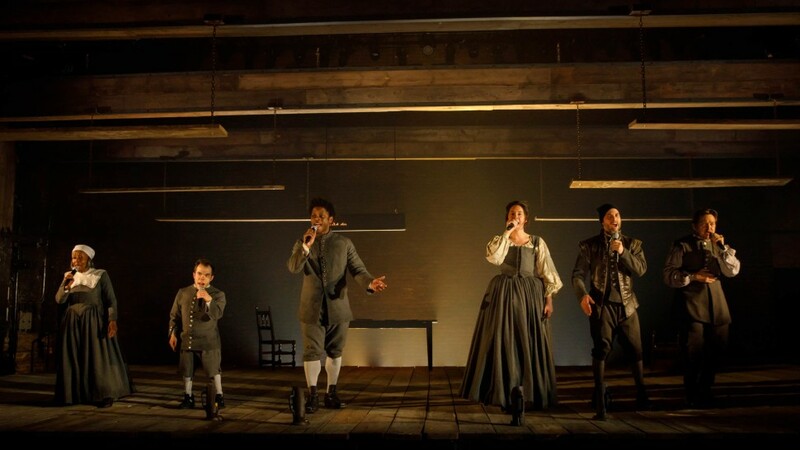 “Light Shining” proves that perhaps the Interregnum is not fit for the stage. 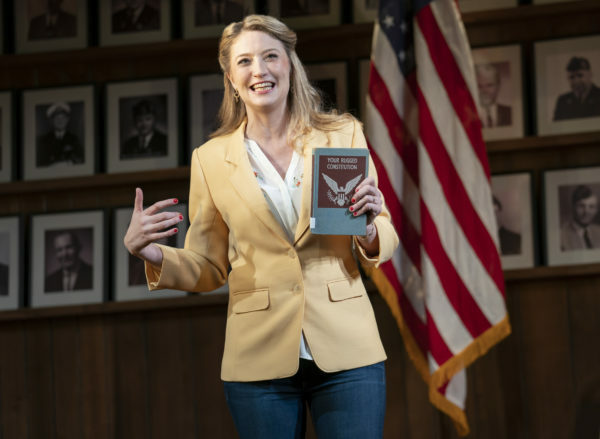 Her play, revived at New York Theatre Workshop (where it premiered in 1991), is directed by the visionary director du jour, Rachel Chavkin, who works hard to find connections between that revolution and our current political climate. 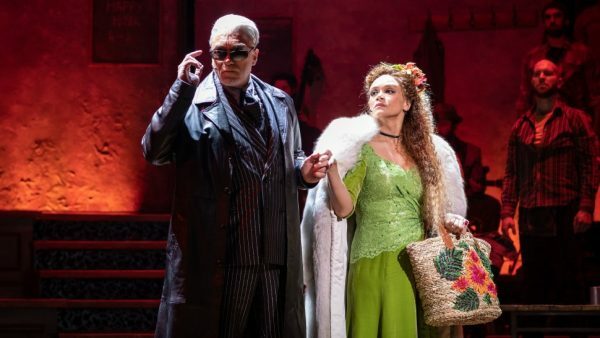 Chavkin is of course known for her beautiful anachronisms and timeless parallelism: in “Natasha, Pierre, and the Great Comet of 1812” she made Napoleonic Russia relatable, and in “Hadestown” a tale from Greek mythology feels integrated into every day. Chavkin here attempts to make the connections between Levellers, Diggers, and Ranters of the English Civil War and our modern protesters. Mostly, the connections seem obvious, forced, and not supported in the text. 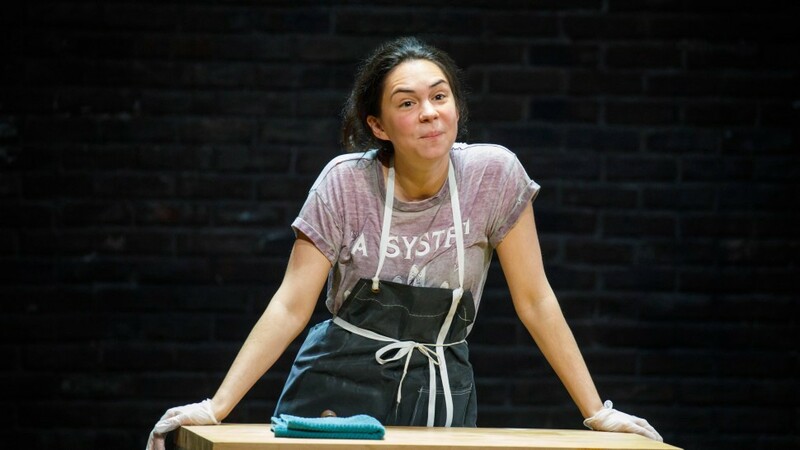 Chavkin’s effort is nonetheless laudable, but it seems like her largest mistake was in selecting this play; if she wanted to create a piece about political revolution, there are much better options. At its core, “Light Shining” is not a great play. It is made of 21 disjointed scenes, with various characters played by 6 actors. It spans the prewar discontent, the battlefield, the Putney Debates about a new constitution, and the eventual failure of the Interregnum. If you are not well-versed in British history prepare to be confused; even the supertitles and playbill note can’t help you. 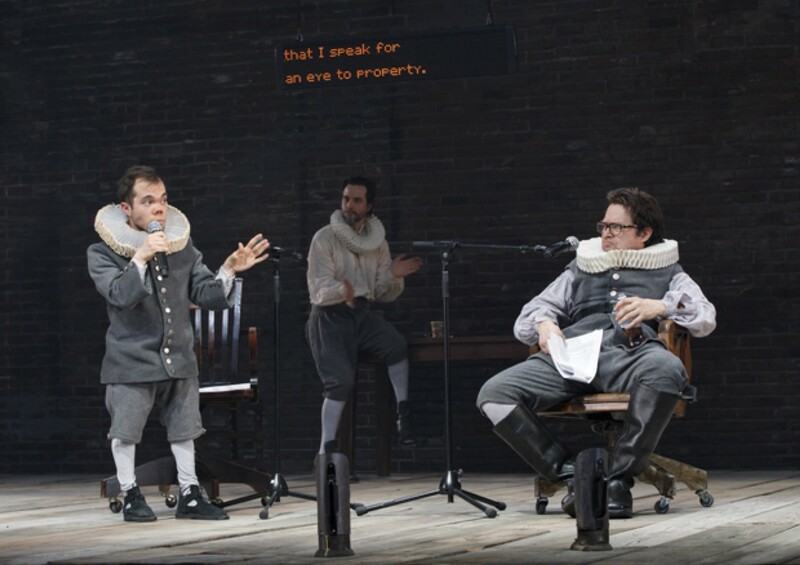 The play drags on at almost three hours, seemingly plotless and often coming across more as a British history lecture than a piece of theater. However, the Putney Debates lengthy sequence (which ended the first act) was an interesting intersection of history textbook and theater; the text was taken from historical sources, but Chavkin dramatized it in an agonizing way that perfectly encapsulated the futility and unproductivity of democracy. A few other moments managed to shine, like when two women looked in a broken mirror stolen from an aristocrats household, perhaps seeing their reflections for the first time. Or late in the play when a woman, starving to death, gave up her baby, and then immediately transformed into a butcher, who screamed at wealthy patrons for eating so much meat when others are starving. These abstract scenes about suffering were the most powerful and poignant, but they were sadly marred with hours worth of historical speeches and political rants delivered (oddly) through hand-held microphones. It is clear that the problems of this production lie in the text. 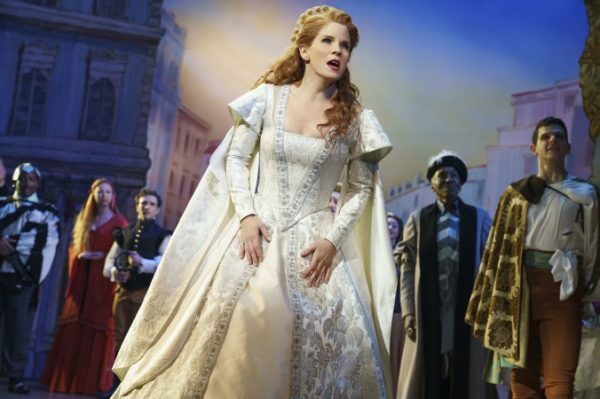 The director certainly had a clear vision, and combined with the costume designer Toni-Leslie James, managed to eloquently fuse the 1640s with the 2010s — corsets and doublets meet iPhones and Diet Cokes, gowns and armor melt into tee shirts and hoodies. The actors, too, are worthy of some praise. The diverse group (both racially and in terms of ability) worked hard to make it through such a dense, actionless play. Vinie Burrows, Rob Campbell, Matthew Jeffers, Mikeah Ernest Jennings, Gregg Mozgala, and Evelyn Spahr handled their task with an impressive level of professionalism and flexibility. But a good director and a more than competent cast cannot save “Light Shining in Buckinghamshire.” The play charts the failure of a revolution: those who start as egalitarian soldiers ready to fight the monarchy become feuding bureaucrats and eventually devolve into drunken, raving religious zealots. Their political cause fails. The monarchy is restored. If you want to stage play that connects to our modern desire for political revolution, why pick a piece where the protesters fail? Like the Levellers, Diggers, and Ranters, “Light Shining in Buckinghamshire” fails, doomed to be remembered only in a remote corner of Wikipedia.